Recent news surrounding the use of cannabis extracts for cancer and other diseases has largely been concentrated in the United States, where thousands of families are beginning to use high-cannabidiol oil for various forms of epilepsy. However, use of marijuana as a medicine is not limited to America or epilepsy, and throughout the world, people are beginning to use cannabis-derived medicine for epileptic and other conditions. 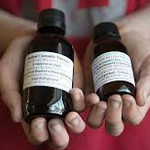 In Australia, dozens of children are using THC-A tincture for various forms of epilepsy. THC-A is the non-decarboxylated, raw form oftetrahydrocannabinol (THC), and is non-psychoactive likecannabidiol (CBD). This tincture is proving to be as or more effective than CBD for epilepsy. Tara O’Connell, the most well-known tincture patient in Australia and who suffers from Dravet syndrome, has gone from 60 seizures a week to seizure free with a year of THC-A use. Her brother Sean, who has a less severe form of epilepsy, has also improved dramatically. An article published on the Herald Sun mentions other Australian parents who are seeing the same miraculous results with their children. Most of the other international activity has been focused on cancer. A January 2014 story on a Croatian news station featured “Mark,” who didn’t want to use his real name for fear of criminal prosecution. Mark had suffered from non-small cell lung cancer. He was given four to twelve months to live, and chemotherapy that was intended to prolong his life only made things worse. After receiving news his cancer had doubled, Mark stopped treatment and began cannabis oil. He immediately began feeling better, and the cancer was no longer visible on X-rays after three months. A man from St. John’s, Canada, named Paul Morrissey, has credited cannabis oil with his remarkable recovery from Stage 4 prostate cancer. After six weeks taking oil, his prostate-specific antigen levels (a measure of prostate cancer strength) dropped from 29.5 to 3.3. Morrissey’s physician, Dr. Randy Hart, also stated there was some regression in his lymph nodes and abdomen. “It makes me feel 20 years younger. That’s what the marijuana oil does,” said Morrissey. While Morrissey was taking some kind of pill medication and injection for about a month, he discontinued it after discovering how well the oil worked for him. The conventional treatments were not chemotherapy or radiation. On February 20th, a Member of Parliament from South Africa named Mario Oriani-Ambrosini introduced a bill to decriminalize cannabis for the treatment of cancer, and for industrial uses. He was diagnosed with terminal lung cancer in May 2013, and he denied chemotherapy in favor of cannabis oil and sodium bicarbonate. He has already outlived his expected time by several months and is feeling much better. A man with Multiple Sclerosis (MS) named Gerd Bader said he was losing consciousness and close to death before using cannabis extracts. After treatment, he reports he has no more symptoms of MS, although some mobility issues apparently remain. 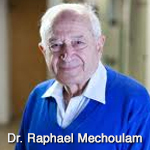 Out of Israel, Dr. Raphael Mechoulam, the researcher who discovered THC in 1964, has recently called for clinical trials of cannabis extracts for cancer. He is joined by Manuel Guzman from Complutense University in Spain. Countless researchers of cannabinoids have also recommended further research or clinical trials in the conclusions of their studies. As the prevalence of cannabis extracts grows, there will doubtless be further activity in all of these countries, as well as new ones. Given this medicine’s radical effectiveness, it is not surprising that so much activity is happening concurrently throughout the world.